Just finished reviewing an interesting Celent report by Brad Bailey, on evolving spot FX market structure and technology trends in light of changes in global regulation, a blurring of traditional liquidity pools and the ongoing competitive landscape. Brad touches on a number of the themes we have covered here over the year, but it’s always good to have someone else’s perspective on them. The concept of SDP and MDP is blurring and being replaced by better APIs, routing, and aggregation technology that access liquidity. Firms that supply connectivity, aggregation, risk and access to quoting stand to have the greatest competitive advantage. 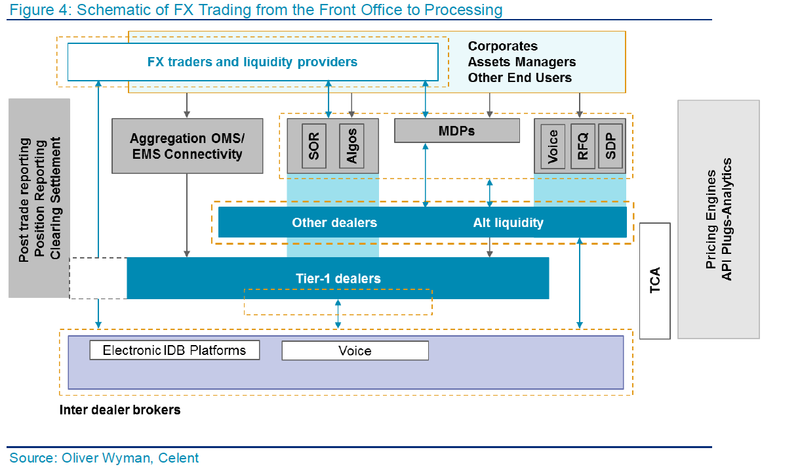 What makes up the FX trading ecosystem? 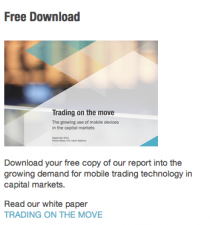 What is the state of the electronic platform space in FX? What forces are shaping the future of FX trading? 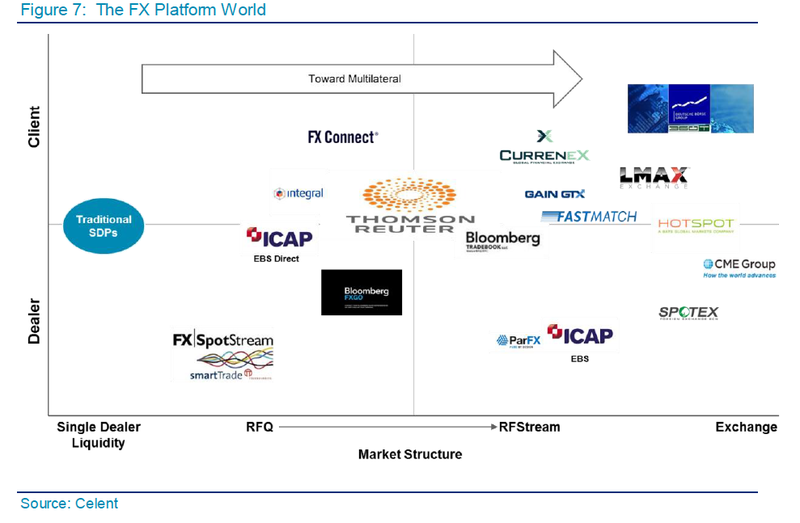 Looking at the current FX platform landscape, Brad plots them against axis of market structure and dealer and client focus.